is the Barron Family Professor of the Humanities and the Environment at Princeton University. His latest book is Slow Violence and the Environmentalism of the Poor (2013). Language bends and buckles under pressure of climate change. Take the adjective ‘glacial’. I recently came across an old draft of my PhD dissertation on which my advisor had scrawled the rebuke: ‘You’re proceeding at a glacial pace. You’re skating on thin ice.’ That was in 1988, the year that the climatologist James Hansen testified before the United States Senate that runaway greenhouse gases posed a planetary threat. If I repeated my advisor’s admonition on a dissertation today, the student might assume that I was rebuking them for writing too darn fast. Across all seven continents glaciers are receding at speed. Over a four-year span, Greenland’s ice cap shed 1 trillion tons of ice. Some geologists expect the Glacier National Park in Montana to lose the last of its glaciers around 2033, just as the equatorial glaciers on Mount Kilimanjaro are also set to disappear. An Icelandic glaciologist calculates that by the end of the next century Iceland will be stripped of ice. Are we moving toward a time when tourists will visit Montana’s National Park Formerly Known as Glacier? When students will read Hemingway’s story ‘The Snows of Kilimanjaro’ (1936) not as realism but as science fiction? And when Reykjavik will be the capital of DeIcedland? Shelley saw glaciers as predatory, immortal forces, eternal beings, before whose might mere humans quaked. But global warming has flipped that perception. We are now more likely to view glaciers as casualties of humanity’s outsize, planet-altering powers. 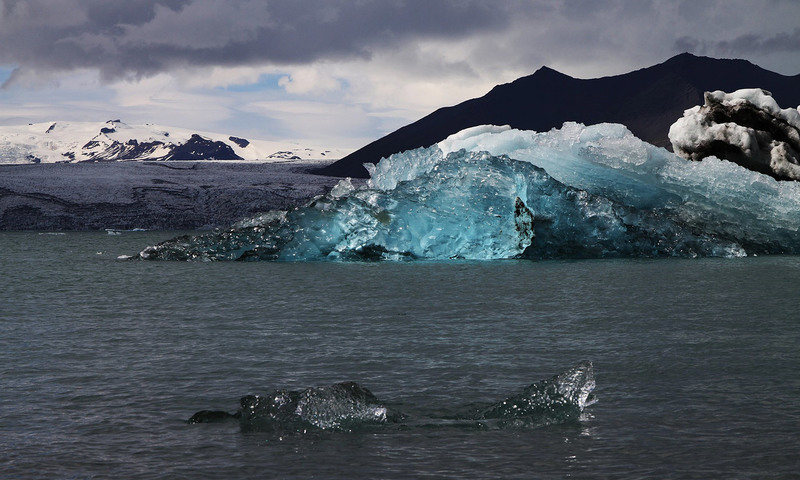 Glaciers in the 21st century constitute an unfrozen hazard, as receding glaciers and ice packs push ocean levels higher. Just as alarming as the big thaw’s impact on sea rise is its impact on the security of our freshwater reserves. For glaciers serve as fragile, frigid reservoirs holding irreplaceable water: 47 per cent of humanity depends on water stored as seasonally replenished ice that flows from the Himalayas and Tibet alone. From the Himalayas to the Alps and the Andes, glacial retreat is uncovering the boots and bones of long-lost mountaineers. But such discoveries involve a haunting, double revelation: each reclaimed climber reminds us of the glacier’s own vanishing. Siachen Glacier, where Indian and Pakistani troops have battled intermittently since 1984, is, for Arundhati Roy, the ‘most appropriate metaphor for the insanity of our times’. The melting glacier is coughing up ‘empty artillery shells, empty fuel drums, ice axes, old boots, tents and every other kind of waste that thousands of warring human beings generate’. This ghostly military detritus is being made visible by a more consequential war, humanity’s war against the planet that sustains us, a war that has left the Siachen Glacier grievously wounded. In ‘Politics and the English Language’ (1946), Orwell laid out six rules for writers, the first of which declares: ‘Never use a metaphor, simile, or other figure of speech which you are used to seeing in print.’ An inert metaphor such as ‘hotbed of radicalism’ conveys very little: we can no longer feel the blazing temperature between the bed sheets, just as – prior to public awareness of global warming – we’d stopped noticing the icy fossil poetry in ‘glacial pace’. As consciousness of climate change has grown, a new class of dead metaphors has entered the English language. We speak routinely of carbon footprints, of wiping species off the face of the Earth, and of greenhouse gases, but we no longer see the feet, the hands, the faces and the backyard sheds that were once vivid when those phrases were newly coined. Geologists now talk of searching for the ‘human signature’ in the fossil record. Some geo-engineers want to inject vast clouds of sulphur aerosols into Earth’s atmosphere in the hopes of ‘resetting the global thermostat’. Many of these coinages attempt to give an intimate, human dimension to planetary phenomena that can seem intimidatingly vast and abstract. Adam Smith in 1759 responded similarly to the massive scale of economic forces by inserting the human body in the form of the ‘invisible hand’ of the market. Today, the science-fiction writer Kim Stanley Robinson brings that dead metaphor back to life, complaining that, when it comes to the environment, ‘the invisible hand never picks up the check’. As our planet’s cryosphere thaws, we can detect all kinds of stirrings in the cemetery of dead metaphors. At Austrian and Swiss ski resorts, the natural ‘blankets’ of snow have become so threadbare that resort owners are shielding them with actual isothermic blankets. And in the Arctic, the threat looms of impermanent permafrost from which climate-altering methane will bubble free. Planet-wise, we’re all skating on thin ice. ‘Calving glaciers’ is shorthand for the seasonal rhythm whereby glaciers amass winter ice, then shed some of that accumulation each summer in the form of icebergs and growlers. When scientists refer to ‘calving glaciers’, we do not typically visualise a Wisconsin dairy herd: as the phrase became routine, the calves have vanished from view. Now that climate change has thrown the balance between glacial accumulation and shedding out of whack, the dead metaphor reasserts itself as a living image. Is the prolific calving we’re now witnessing a fecund or a fatal act, a birthing ritual or a symptom of the death of ice? Before the United Nations Climate Change Conference in Paris in 2015, the sculptor Olafur Eliasson and the geologist Minik Rosing travelled to Greenland, where they lassoed some ice calves that they transported to the Place du Panthéon. There they created Ice Watch, an arrangement of mini-icebergs in the shape of a clock face. Over the duration of the conference, the public could watch time, in the form of ice melt, running out. Greenpeace, too, has sought to mobilise people through art to act against accelerated calving. More than 7 million people have viewed the Greenpeace video in which the composer Ludovico Einaudi performs his ‘Elegy for the Arctic’ (2016) on a grand piano balanced on a fragile raft. As the raft drifts through the ice melt pouring off a glacier in Svalbard in Norway, the pianist’s plangent chords reverberate in counterpoint with the percussive booming of massive chunks of ice crashing into the ocean. Have we reached a linguistic tipping point where ‘glacial pace’ is incapable of conveying meaning with any clarity? Under pressure of a warming world, does ‘glacial’ need to be decommissioned and pushed over the climate cliff? Abrupt climate change challenges not just the capacity of the living to adapt, but also the adaptive capacities of human language. The ‘glacial’ scrawled in the margins of my 1988 dissertation isn’t the ‘glacial’ of 2018, any more than the polar bear that starred in Coca-Cola commercials (tubby, sugared-up, a cheerful icon of the good life) is interchangeable with today’s iconic polar bear – skinny, ribs bared, a climate refugee adrift on a puny platform of ice, impossibly far out to sea. In symbolic terms, the two bears scarcely belong to the same species.